#Guestauthor. Nicholas Rossis. Great blogger, sci-fi, fantasy and children’s author. 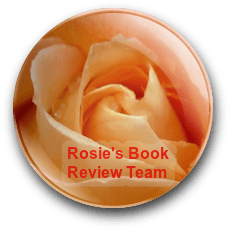 As you know on Fridays I try and bring you new authors that haven’t visited yet my blog. Sometimes I keep reading about some authors, I enjoy their blogs, and they become such familiar faces for me, that I’m surprised when I check back and realise they’ve never visited my blog yet. That is the case with my guest today. 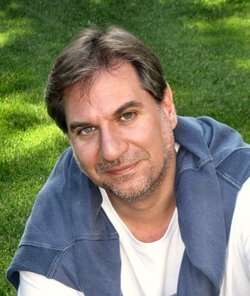 Nicholas Rossis is a writer I’ve known for a while and whose blog I thoroughly enjoy and I’ve mentioned before. 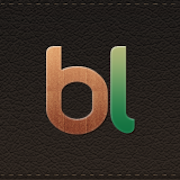 (It’s full of useful information, don’t miss it!). How I hadn’t featured his books here before, is anybody’s guess, but finally, today is the day. Avid reader. Web developer. Architect by training, holder of a PhD in Digital Architecture from the University of Edinburgh. Now, author. Nicholas loves to write. 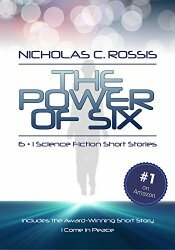 Except for his epic fantasy series, Pearseus, he has also published The Power of Six, a collection of short sci-fi stories. These have all become Amazon best-sellers. His latest book is Runaway Smile, a children’s book. 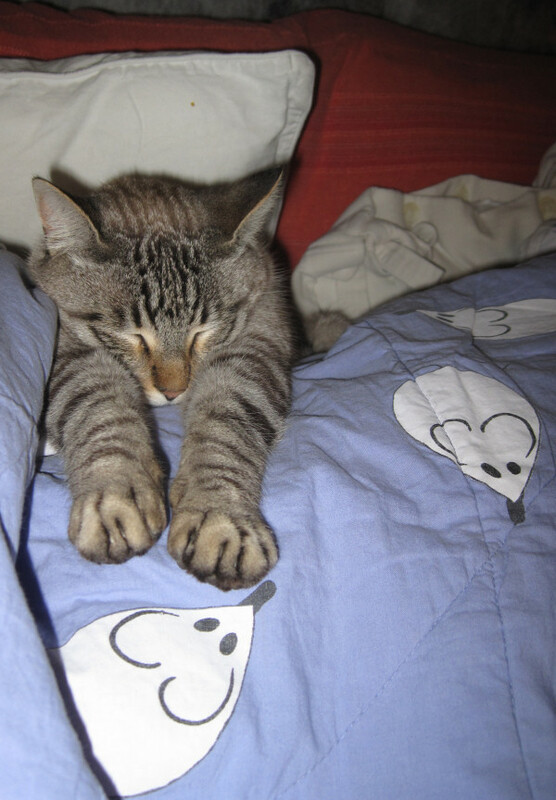 He lives in Athens, Greece, in the middle of a forest, with his wife, dog and two very silly cats, one of whom is always sitting on his lap, so please excuse any typos in his blog posts: typing with one hand can be hard. Mercifully, all his books are professionally edited! The series that has reached #1 on Amazon! The handful of humans that crash-landed on Pearseus three hundred years ago have by now colonized a large part of the planet, rebuilding their civilization from scratch. In the process, they have created a dystopia for themselves, splitting into three competing factions: the Capital, the Loyalists and the Democracies, all embroiled in endless intrigue and constant warfare. An uneasy truce between the three parties still holds – barely. 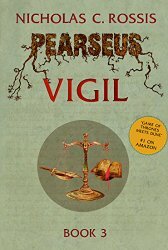 While man turns against man, the First, Pearseus’ indigenous people, wage their own war against a shadowy enemy; an ancient conflict that threatens to engulf and destroy all of humanity. Following an unspeakable crime, the men and women of Pearseus struggle to live and love as their world crumbles all around them. But can love be found in the ruins of humanity’s civilization? The Amazon best-selling series continues! In the second book of the best-selling Pearseus series, the incessant scheming of the various players and their nebulous puppet-masters has brought about major change. Cyrus is now the new ruler of the Capital, struggling to fight Jonia’s revolt along with his own demons. Gella strives to keep abreast of Teo’s devious plans in order to end the war with Jonia. David returns to the First in an effort to overcome his loss of the Voice. Lehmor’s struggle to reunite with Moirah brings him to uncharted territories, where the enigmatic Iota play with minds, senses and the future of the entire planet. Old foes and unlikely new friends appear as invisible forces continue to tear humanity apart. Masks drop to reveal the ultimate truth: on Pearseus, everyone has their own agenda. And they’ll stop at nothing to achieve it. It’s a difficult time on Pearseus. Teo Altman has assumed control of the Capital and has his eye on Parad’s children. Pratin and his monsters have laid siege on Malekshei. The Old Woman has forsaken Lehmor and the First. And Sol is preparing for the Capital’s inevitable invasion. As Malekshei’s defenders fight for their lives, they realize they need an army to stop Pratin. To raise that army, they must do the unthinkable: wake up those who have been sleeping under Pearseus for the last hundred thousand years. 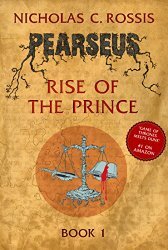 The prequel to the Amazon best-selling series, Pearseus. 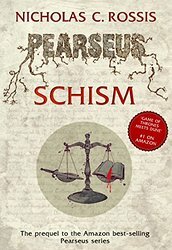 If you like dark epic fantasy with a sci-fi twist, then you’ll love Pearseus: Schism, the novelette that lays the back story to the series that has reached #1 on Amazon. It’s New Year’s Eve, the year of 2099, but the distinguished guests aboard the Pearseus won’t get to countdown seconds; soon they’ll be counting bodies and survivors after the spaceship’s crash landing on another planet. The good news? The planet is seemingly hospitable both in resources and in terms of the natives’ attitude towards earthlings. The bad news? They might have come on this planet bare of possessions, but what they haven’t been able to shed are the shortcomings of their human nature. Will that be the sole threat to a unified future, or is the new land and its first inhabitants not as innocent as they look? 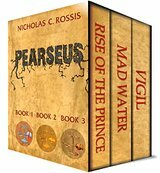 Six science fiction short stories written by the author of Pearseus, the epic fantasy series that has reached #1 on Amazon. This edition includes one extra story, written by Amos M. Carpenter. The Power of Six reached #1 on Amazon in October 2014. Although they seem to be concerned with various themes, there are certain passions that run through them. What is the nature of reality; digital and corporeal? Is there more to the world than we can see? How far can we trust our senses? What are the consequences of our actions, and is it possible to change them? And if so, would we simply repeat same mistakes, or make new ones? “Simulation Over”: How far can we trust our senses? “For the Last Time”: The law of unintended consequences meets Murphy’s law during a man’s unexpected time travel. “The Hand of God”: What do the game characters do when we stop playing? “I Come in Peace”: an award-winning short story that poses the question: how far would man go to alleviate his loneliness? “A Fresh Start”: If we were free to go anywhere in time and space, where would we choose to go? “The Sentry”: What is a Sentry to do when the monster that steals away his family’s most precious possessions reappears? “Big Bang”: A friendly game turns into much more in this short story written by Amos M. Carpenter. Humorous and poignant, these short stories are exciting, intriguing and imaginative. Thanks so much to Nicholas Rossi for his books, thanks to all of you for reading, and you know what to do, like, share, comment, and CLICK! PS: Nicholas kindly left a comment sharing more information about his work, and I thought it was only right to add it to the main post. 59 Comments Comments are closed. Well done, Olga. It’s nice to get to know Nicholas. I enjoyed the bit about “silly cats” — what a picturesque setting he must call home! Something for a book in itself. Thanks Teagan. Always good to get to know better one of our fellow bloggers and authors. Have a great weekend! Nicholas is such a talented man. It’s very hard ti be jealous of him though as he’s thoroughly nice too. Thanks for bringing such a good post to us Olga. Thanks David! Yes, I agree. He’s one of these people whose posts I always look forward to. Like yours, my Lord. Have a great weekend! Hugs! Great post! Nicholas has been on my TBR list for a while. Sounds like I really need to start reading. Thanks Barb! One of the problems with doing these posts is that they remind me of how many people I haven’t read yet. But we’ll keep going! Have a great weekend! Once again another great post Olga, thanks for introducing us to Nicholas. Thanks Laurie. He’s worth keeping track of. And happy weekend! Nice to see Nicholas on your blog Olga. I also follow him, and though I do not read sci-fi, his warmth, personality, and good advice just oozes out from his blog. That Perseus box set looks so good too. Makes you want to pick it up and buy it! Thanks Pete. I’m always surprised by how much I like the things I don’t normally read when I get around to them. And I agree. The boxset looks fabulous. 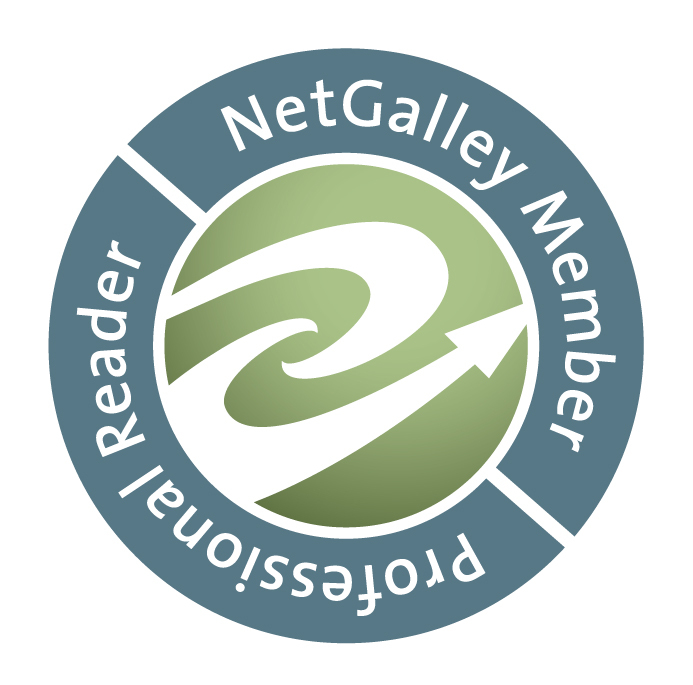 A great review of Nicholas Rossis​ and his work over on Olga Núñez Miret​ – always a great place to be on a Friday. Wonder writer and great gentleman! Noelle, I also have you one the list for one of these weeks. Another blogger I visit often I don’t think I’ve ever shared your work yet. And I wholeheartedly agree. Cool. Architects and writers – both design, construct, and build carefully. Thank you so much for the wonderful surprise, Olga! Thanks Nicholas. I’ll add them to the main post. I’m sure I’ll here, but I’m always happy to post about new books so let me know when you have a new book out. Best of luck! Great! Sounds very good! Count me in, Nicholas! Not only is this review of Nicholas Rossis epic, so are his books. I’m also a follower of his blog and have learned much from reading it. I’m not a fan of this genre, but have been drawn into it on occasion. One of these days, I plan on reading these as they sound mesmerizing. What a lovely thing to say. I love your style. Thanks Tess! I read a post by somebody yesterday who said she preferred not to have a TBR list because it made her anxious and she just chose each book as she fancied reading it. Some people did reply that it was not something that caused them stress but it was a way of making a note of books we’d like to read at some point. But I agree sometimes when I remember I meant to read this one, and that one… I also want to read them ALL! Happy reading weekend! I’ve never heard of him before, so thank you for introducing me to a new author. Sounds like I need to read his children’s book. Losing your smile is traumatic. Thanks so much. As he mentions in one of the notes, you can have a look at the book for free. And yes, you’re right. A child’s smile is the most beautiful thing. Great review. 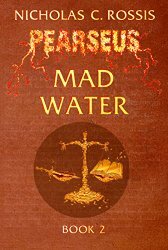 I am reading the first three books of Pearseus now and find this epic fantasy adventure to be beautifully written and thought-provoking. 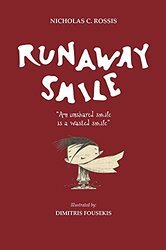 Also, a bit shout out for Runaway Smile, a children’s book that I enjoyed so much (read for free on Nicholas’ blog), that I had to send my grandson a copy and he loves it. Thanks Bette. I’ve added the link Nicholas posted in the comments so people can get to read Runaway Smile too. Great to hear both you and your grandson enjoyed the book. Love Nicholas’ blog and he is pretty special, too! Have his set to read but have so many books to read at present. But I hope to read it this year. Lol! Thanks for sharing info about Nicholas. Thanks so much Jem. I hope I’ll read some of the books in the list at some point in my life! Although if there is such a thing of heaven, I hope it has books on it and aeternal time to read them all. Yes, Olga, that would truly be HEAVEN! For some reason, I can’t get my replies to post on Joanne’s – here’s my answer to your question about a marketing group. I found my marketing group at a writer’s convention. We interviewed each other to see if we would be a good fit. They’re not cheap but they helped to break the ice for me locally with interviews and readings. Also an interview for a newspaper in Maine. I still do a lot of pushing myself and will try to get some interviews when I am in New England this summer and I located a bookstore with several outlets in Maine who will carry my books. Marketing…not my favorite job. Thanks Noelle. It eventually came through. Marketing isn’t my strong suit either. I don’t mind talking about my book to people, but trying to find people who might be interested… Not many bookshops around where I live (only some big chains in the bigger city and some second hand one, mostly charity shops)but I’ll have to investigate further. Best of luck! Olga, I don’t think I’ve ever been to your site before, but when you stopped by mine, I got an email about this particular blog post. Nicholas was one of the first people I met when I started my blog for self-published authors. It’s impossible not to admire both his accomplishments as an author, and the superbly researched and analysed blog posts he shares about all facets of being an indie author. He claims to write by-the-seat-of-his pants, but don’t be fooled: underlying his imaginative sci-fi/fantasy work is a wealth of significant classical themes and names. Such a knowledge base, regardless of intelligence and aptitude, necessarily requires years of passion, thought, and reflection. In the tradition of the best sci-fi and fantasy writers, Nicholas is a fervent student of human nature. This seems to have engendered a compassion and tolerance for the foibles of his fellow human creatures. Naturally, however, he recognises the superiority of the canine and feline species and defers to their wiser nature when writing! Thanks so much, Connie. I think I ended up in your blog through Nicholas’s, but as you say, he’s a man who always share great information. I guess we all create our own myths about ourselves, but I agree with you he doesn’t strike me as a man who’ll just write and publish the first thing that comes to his mind. Lovely to see you here and I hope to keep visiting your blog. Thanks Vashti. He’s fabulous and I know he’s hard at work…. :) Have a great week!